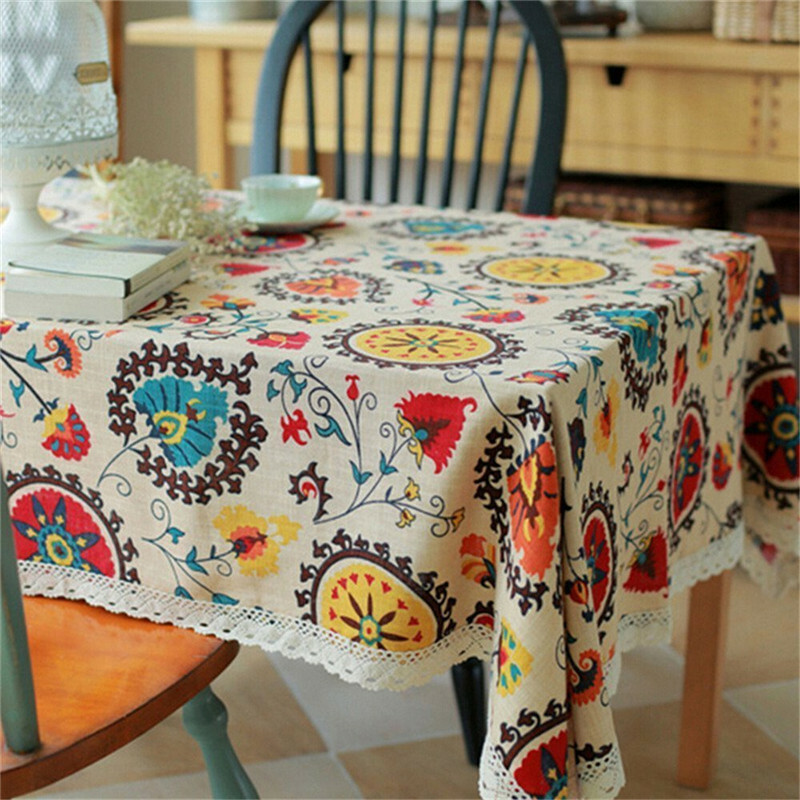 This is natural tablecloth features elegant floral printed in premitive linen fabric, which will add a touch of splash to any existing home decor,stain-resistant and wear-resistant. It will not stick your skin when having dinner,not hot and humid,breathable. Multi-Size for choosing. Vitage and elegant,great idea to decorate your table. Due to the light and screen difference, the color may be slightly different from the pictures. Please allow 1-3cm differences due to manual measurement. please understand us , thank you very much. After your item has arrived, we appreciate it if you can take a moment to leave positive (5 stars) feedback about our products and service. It only takes a moment, and it’s a great way to help others make purchases like yours!